In need of his own redemption, Noah Carter finally confronts his childhood hero, the once-beloved uncle who betrayed him. 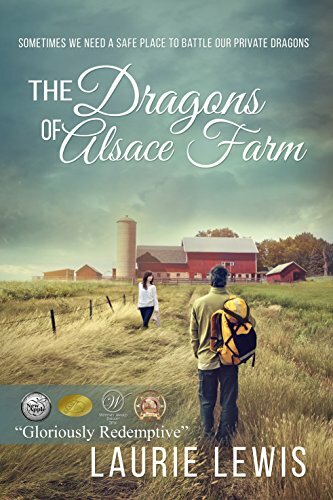 Instead of vengeance, he offers forgiveness, also granting Uncle John a most curious request—for Noah to work on the ramshackle farm of Agnes Deveraux Keller, a French WWII survivor with dementia.Despite all Agnes has lost, she still has much to teach Noah. But the pair’s unique friendship is threatened when Tayte, Agnes’s estranged granddaughter, arrives to claim a woman whose circumstances and abilities are far different from those of the grandmother she once knew.Items hidden in Agnes’s attic raise painful questions about Tayte’s dead parents, steeling Tayte’s determination to save Agnes, even if it requires her to betray the very woman she came to save, and the secret her proud grandmother has guarded for seventy years.The issue strains the fragile trust between Tayte and Noah, who now realizes Tayte is fighting her own secrets, her own dragons. Weighed down by past guilt and failures, he feels ill-equipped to help either woman, until he remembers Agnes’s lessons about courage and love. In order to save Agnes, the student must now become the teacher, helping Tayte heal—for Agnes’s sake, and for his.